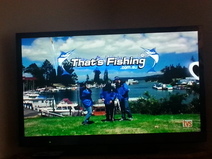 Do you think that there should be more fishing shows on TV? 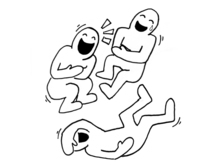 Robson Green has two fishing shows.Extreme Fishing with Robson Green and Robson's Extreme Fishing Challenge. 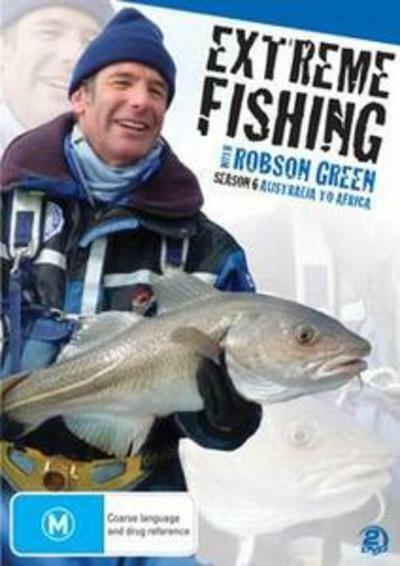 Extreme Fishing with Robson Green courtsey of the ABC shop. Are you kidding, there's enough now to run a channel exclusivley for fishing. Goodness me. I'm no fisherman but I do like River Monsters with Jeremy Wade and Fish Warrior with Jakub Vágner. It's just that some weekends there are hours of fishing shows in succession. A big thumbs down to those that are just thinly disguised advertising. I wish there was a whole channel for just fisjing shows. We dont get thst many here and yes I agree that some of them are to commercial. In my opinion, no. I find fishing shows akin to watching paint dry, so more of it on TV would only mean there would be more shows I wouldn't want to watch. That doesn't mean there isn't an audience, it's just not for me. Nope. Fishing shows sound dull. I quite like Robson Green though. Boring, boring, boring! Definitely not. Too many already. Rather read a book. I can't say I'm a big fan, or a fan at all actually, so it's a no from me. No I think there are probably enough fishing shows on TV already. Oh NO. Not another fishing show in Australia. My reaction after reading this question LOOOOL . This question must be from an avid fisherman. Yes it is. My wife reckons I have gills. There's TOO much of some shows on TV, & this is just one of them! Ditch ALL the so-called reality shows, too. They show the poor level of intelligence of tv viewers'. The 'outcome' seems to be planned in advance, which is stupid, & removes them from being 'real'. Absolute garbage shows! Do you watch the Home and Away TV show? Do you watch the Big Bang Theory TV show? What do you think of the TV show called Mrs Brown's Boys?